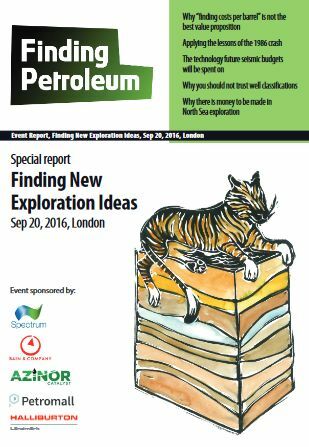 So far in this decade Exploration has been both disappointing and gas prone – we explorers have a performance problem! And then (2014 onwards) of course with the crash in oil price, companies - if they have been lucky enough to survive - have slashed exploration budgets. And now there are the rumblings of a ‘next phase’ from the Majors – “let’s chase small stuff with shorter lead times”, “big isn’t best”, “anyway there’s Iran opening up” etc etc. Not a great time to be an explorer? In around 3 years’ time, there will be a global supply problem with the Majors short of new barrels. Where should we be exploring? How should we be exploring; where is improved performance going to come from? Who is going to do it, if the Majors have ‘given up’? Welcome & Introduction: Is it all over for Exploration? During Ian Jack's time in BP he ran the seismic field operations team, the subsurface R&D program, served as an SEG vice president, and inaugurated the SEG's "Distinguished Instructor" program with a 1-day 4D course taught worldwide. BP awarded him their “distinguished advisor” title in 2000, and in this role he initiated the first at-scale “Life of Field” seismic monitoring system which was subsequently installed in the Valhall field. He also initiated developments in land seismic technology which are coming to fruition at the present time. Although now "mostly retired" and quite undistinguished, he consults, does some teaching, and hikes around any convenient mountain range. Ian is a physicist who strayed into geophysics by attending a job interview with GSI for interview practice, and was unable subsequently to say no to the unexpected job offer. That was in 1968 and he worked as a field engineer, then in data processing and software development before joining BP 10 years later. Ian is a physicist who strayed into geophysics by attending a job interview with GSI for interview practice, and was unable subsequently to say no to the unexpected job offer. That was in 1968 and he worked as a field engineer, then in data processing and software development before joining BP 10 years later. During his time in BP he ran the seismic field operations team, the subsurface R&D program, served as an SEG vice president, and inaugurated the SEG's "Distinguished Instructor" program with a 1-day 4D course taught worldwide. BP awarded him their “distinguished advisor” title in 2000, and in this role he initiated the first at-scale “Life of Field” seismic monitoring system which was subsequently installed in the Valhall field. He also initiated developments in land seismic technology which are coming to fruition at the present time. Although now "mostly retired" and quite undistinguished, he consults, does some teaching, and hikes around any convenient mountain range. Andrew Lavender joined Neftex in 2006 as a geologist, and since then has been involved in regional geological studies around the globe. His current role is as Consultancy Division Lead, where he works with oil company clients to help them make the most from their datasets and to provide geological insight to augment their exploration activities. Mr. Morris has over 13 years of experience in the oil and gas industry. Mr. Morris is Technical Director and co-founder of Azinor Catalyst. Mr. Morris is responsible for developing Azinor Catalyst's net-risked resources and delivering on the company's strategy. He has an excellent track record of finding oil, with strong leadership capabilities and ability to deliver significant commercial value. Since launching Azinor Catalyst with co-founder Nick Terrell in February 2014, Mr. Morris has built up the company portfolio rapidly through the UK 28th Licensing Round and targeted acquisitions. The company is a qualified UK offshore operator, focused on generating significant value for its stakeholders through advanced seismic technology and other de-risking technologies ahead of drilling. For the large part of his career prior to Azinor Catalyst, Mr. Morris held a mixture of roles, including Vice President Global Development, Asia Pacific Manager and Lead Geophysicist, at Ikon Science, an independent technology company developing exploration de-risking tools. He joined Ikon in its founding year as a Geophysicist and was instrumental in transforming it from a start-up seed entity of six individuals to a full-fledged service and technology company with over 150 staff around the world. At Ikon, Mr. Morris developed and deployed 'Best Practice' Quantitative E&P tools into the majors (e.g., Shell, Statoil, Chevron and Exxon), and delivered exploration services to small and mid-size exploration companies. During this time, Mr. Morris built a service team which was contracted out to UK and global explorers, such as Tullow Oil, Oilexco and Ophir Energy. Mr. Morris was fundamental in a series of successes in Oilexco's 2002-2007 drilling campaign in which more than a dozen discoveries were made under his steer. Following a stream of highly successful North Sea exploration wells, Mr. Morris took Ikon's knowledge to the Asia Pacific region, leading and developing the global footprint and improving general exploration success via quantitative exploration and development techniques, and delivered solid revenue growth and a profitable regional business. In addition to Ikon, Mr. Morris was Senior Explorationist for Endeavour Energy UK, working with Mr. Terrell to develop its exploration and development portfolio technically. Mr. Morris is a British citizen and holds a B.Sc. hons. in Petroleum Geology from the University of Cardiff and an M.Sc. in Petroleum Geoscience from Imperial College London. At Azinor Catalyst we are building a material portfolio of high value UK Continental Shelf (UKCS) assets. We are doing this through a combination of Licencing Rounds and targeted acquisitions, leveraging our technical, commercial and operating capabilities. We see numerous and significant investment opportunities across the region, as larger and high cost incumbent players seek to strategically divest or rationalise their portfolios. The oil price fall and very poor exploration performance over the last few years has led the Majors to downgrade Exploration (as in BP's re=organisation for example) and drastically cut its Capex. New corporate strategies are being rolled out with a strong focus on Project excellence, working in already established profit centres - LNG, DW Gulf of Mexico, Angola, Egypt, Russia etc etc. New barrels/molecules will be found by Contingent Resources being converted to Reserves; technically this means Improved or Enhanced Recovery, Near-Field Exploration etc. If 3. doesn't deliver enough then Resources/Reserves can/will be bought. In principle, 4. leaves a window open for smaller, more exploration-oriented, companies, a bit like some pharmaceutical R&D gets done by smaller companies, many of whom fail but one or two of whom succeed and get bought. where do they go - new Frontiers or existing provinces, see 2. above? as companies they only 'work' when oil prices are rising so much that equity holders are willing to pump more money in. Not sure what this adds up to?